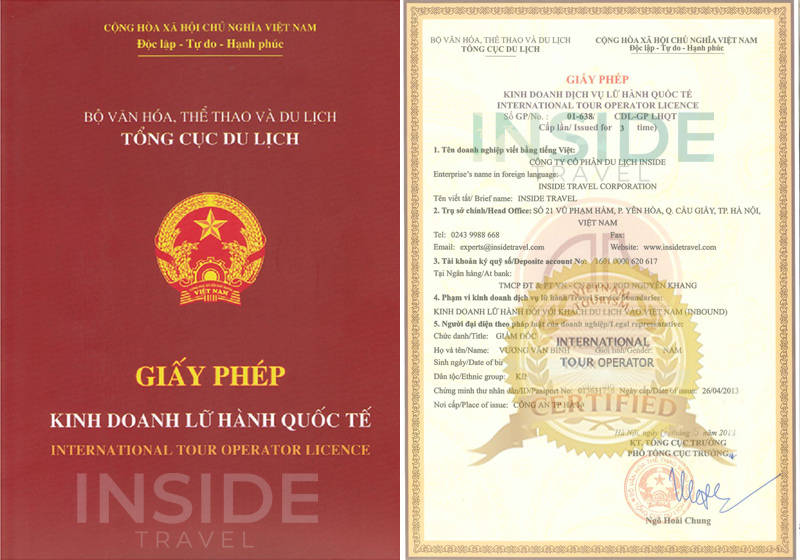 Located on the tourist route from Hanoi to Halong Bay, Hai Phong (its name means 'coastal defense') is one of the most important port cities as well as one of major tourist centers of Vietnam thanks to its deep water port and developed maritime transport. Being the third largest city in Vietnam, Hai Phong is also called "The City of the Red Flamboyant" as the city is filled with flamboyant trees which blossom beautifully in the summer. In all year around, Hai Phong is always bestowed with green fruits. This destination has a long history of over 6,000 years as shown through the archaeological site of Cai Beo. Until now, several landscapes, shrines, temples and historical monuments are easily caught in sight in the city. During the Vietnam War, because of its thriving port, Hai Phong was heavily bombed; surprisingly, nowadays, a large area of the city is the home for over 20 industrial and manufacturing institutions. However, it older district is rather quiet, but still charming and is considered the city’s pride, with stretching boulevards adorned with colonial style buildings. Towards many visitors, Do Son Beach might be the most appealing attraction of Hai Phong and also be listed among the most stunning beaches of Vietnam. It has a coastal line of 5 kilometer long, offering a tranquil setting with a growing number of hotels as well as several eating places. Also, it is very convenient and easy to visit other destinations from Do Son. For example, by speedboat, tourists can visit the island of Cat Ba National Park, Bai Tu Long Bay and also Halong Bay in Quang Ninh. With a preference toward history and tradition, on a visitation to Hai Phong, sightseers may be looking forward to explore Cai Beo Archaeological Site, or visit Nghe Temple together with a considerable number of pagodas. All of them own origins of centuries and can shed lights on lifestyle or culture of ancient Vietnamese people. With the privilege of a leading commercial city, visitors to Hai Phong have a wide variety of restaurants and eateries to choose from, with all styles possible from traditional northern Vietnam's cuisine to Western gastronomy, from regional variations to international eating options. Dishes worth trying of Hai Phong are red noodles with crab, a specialty recognized as one of Asian records, spicy bread with liver sausage, and rice cake with meat.